Former logo used from 2006 to 2012. 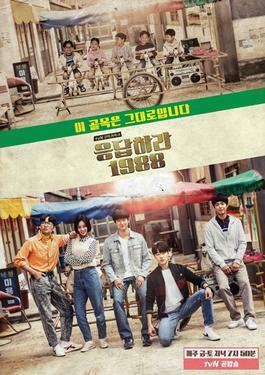 Reply 1988 received both critical and audience acclaim with its finale episode recording an 18.8% nationwide audience share, making it the highest rated drama in Korean cable television history. In addition, Guardian: The Lonely and Great God was also a hit and consistently topped cable television viewership ratings in its time slot. Its final episode recorded an 18.680% nationwide audience share according to Nielsen paid platform, making the episode the second highest rated in Korean cable television history. It received critical acclaim and became a cultural phenomenon in South Korea. Currently, tvN dramas hold 21 spots of the 27 list of highest-rated Korean dramas in cable television. ^ Since January 2017, the official corporate slogan is Content Trend Leader, while the official marketing/advertising slogan is Endless Pleasures (즐거움엔 끝이 없다, Jeulgeoum-en kkeut-i eobsda). Problematic Men Show Their Real Selves". BNTNews. Retrieved 2015-04-07. ^ Lim, Jeong-yeo (31 March 2015). "Men with brains gain popularity in Korea". K-pop Herald. Retrieved 2015-04-07.